How do you deal with stress? How does it affect you as a person and a leader? It’s an interesting question that reframes much of the topics we’ve discussed on the Lighthouse blog for years. Fortunately, Stewart Alsop gave us the chance to think about it. He interviewed Lighthouse’s CEO, Jason Evanish, on this subject and a lot more. With the Crazy Wisdom podcast, Stewart Alsop interviews creative people about how they work with and manage the stress inherent in creative pursuits. He investigates into the relationship between stress and creativity. Today, we have the interview embedded below, and some show notes to help you follow along with some of the takeaways and further reading. Stewart did a great job asking good questions to get me thinking about what we do at Lighthouse, and thinking about the challenges of creativity and stress. Here’s some show notes to follow along with what you hear. It follows along in chronological order with the show embedded above. Stress can be good! Really. Too much of anything can be bad, but one of the most interesting lessons I’ve learned lately is the power of looking at stress positively. As just one example, think about how the stress of a really big, hairy, audacious goal and how it can actually help you think of bigger, better ideas; suddenly, you have to think beyond incremental improvements, and instead be bold. 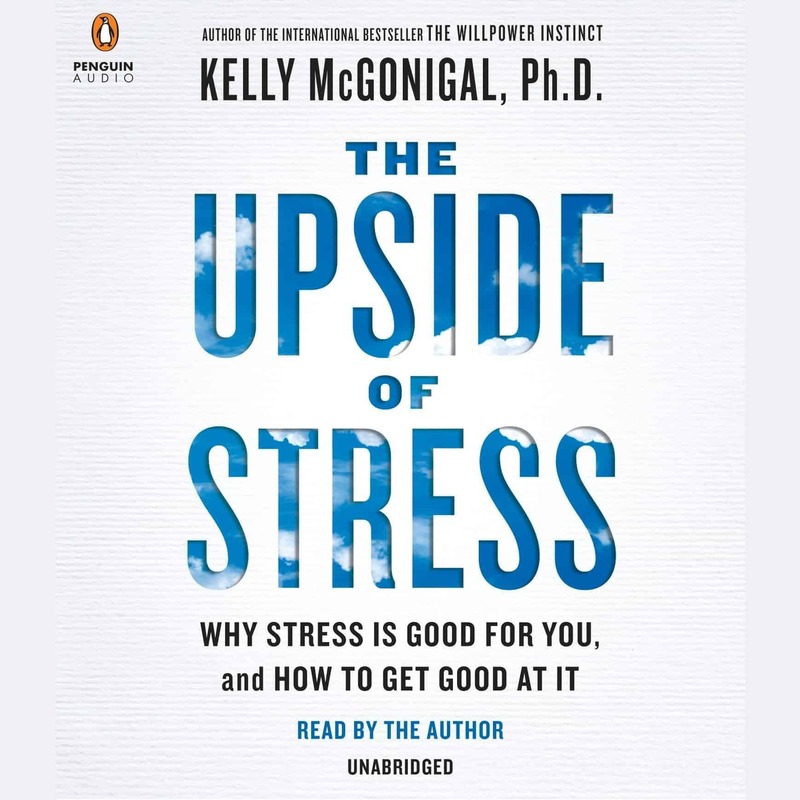 We’ll have a blog post soon about the subject in depth, but in the meantime, I highly recommend you read the Upside of Stress to learn about it for yourself. There’s no avoiding stress. That includes whether you’re in person or in a remote work environment. As I commented on the podcast, remote may lead to less stress getting work done as you avoid a the noisy, open office. However, you have the added stress of less-developed relationships with your colleagues. This latter challenge is exactly why companies like Buffer, Invision, and Zapier regularly have retreats and fly people to still meet face to face. If you’re dealing with challenges managing a remote team, this post gives you 10 ways to work better with your remote employees. One of the best ways to shift from me to we, is to embrace the servant leadership mindset. This means embracing helping your team and supporting everyone to bring out their best. It means recognizing that you cannot lead one size fits all. Instead, you need to look to what works best with each person, like evaluating their Task Relevant Maturity. Trust and rapport is the foundation of any good relationship. Whether that’s a friendship or working relationship, you start by getting to know each other and finding commonality and respect in one another. As a leader, this is critical. Your people are not robots. They are humans with lives, passions, interests, and unique drive. You must take the time to understand it. Learn why leaders from the military, to offices, to sports agree that building rapport matters. Here are 81 ways to build rapport with anyone regardless of age, gender, experience, or background. The number one thing you can do to be a better leader starting today is to improve your self awareness. The more you can reflect on who you are and how you affect others, the more you’ll regularly improve and avoid big issues with your team. As an example from the interview, if you know you’re upset, take a look at how your word-choice or attitude may reflect that even if you didn’t intend it. If you want to dive into understanding and improving your self awareness, we did a massive deep dive a few weeks ago here. That’s why as a leader you need to keep yourself level-headed. There are times to stand up and be passionate and loud, but typically, keeping your cool is better. This post can help you think about how to win arguments at work. Stewart brought up a key concept that’s important for all leaders to understand: you’re a coach, not a therapist. This means that you work to motivate and bring out the best in everyone on your team, but you’re not a doctor or clinician. If someone on your team is struggling, your job is to help them get help from a professional. Sometimes that means giving them space and time, other times pushing them to see a doctor, therapist, or psychologist. Whatever it is, you should recognize you are not a therapist. It’s a dynamic that doesn’t belong in a work relationship. 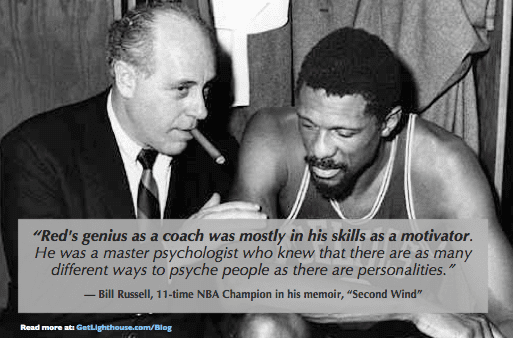 That’s why even at the professional sports level, teams like the Dallas Mavericks hire a sports psychologist (@Think2Win) to help alongside their coach, Rick Carlisle. Burnout is not fun. 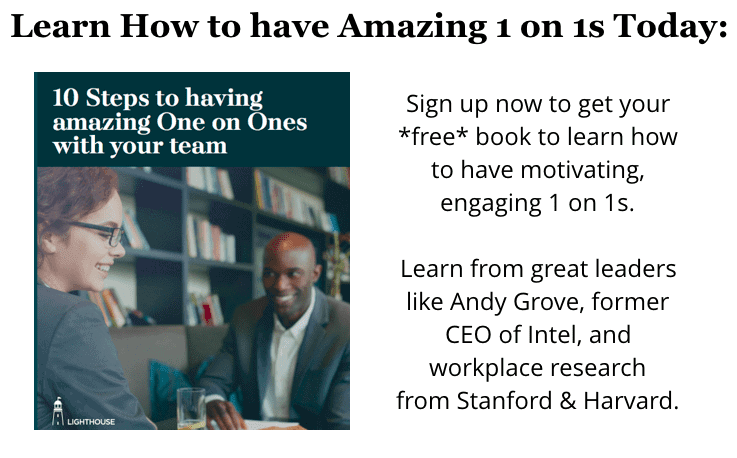 You never want to experience it, and you certainly do not want to burn out anyone on your team. Unfortunately, as a leader, you can absolutely do that to your team, which is one of the highest crimes you can commit as a leader. The way that you do that is through a concept called “Learned Helplessness.” We dove deep into this subject so you can avoid it for yourself and your team members here. And if you are or have burnt out, this post can help you. And of course if you want help being a better manager, building these kinds of concepts and habits we talked about, you should sign up for a free trial of Lighthouse here. 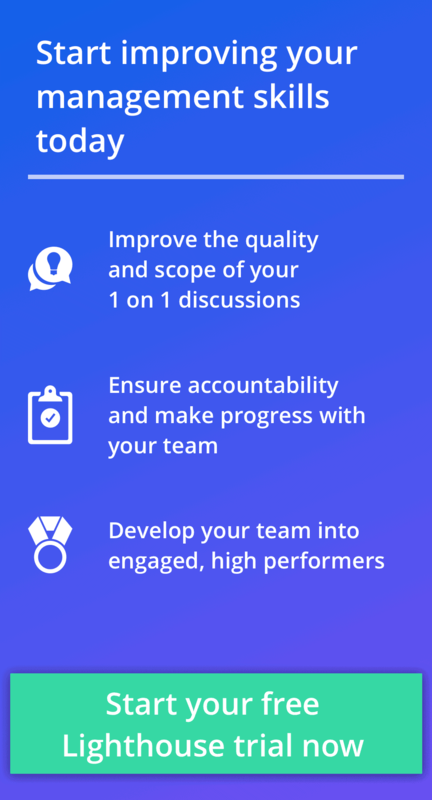 We can help you improve communication and accountability with your team. Get started today here.